The Prime Minister, Shri Narendra Modi has expressed deep concerns over Sydney cafe siege incident. Prime Minister has called the incident, an act of inhumanity which is deeply unfortunate. 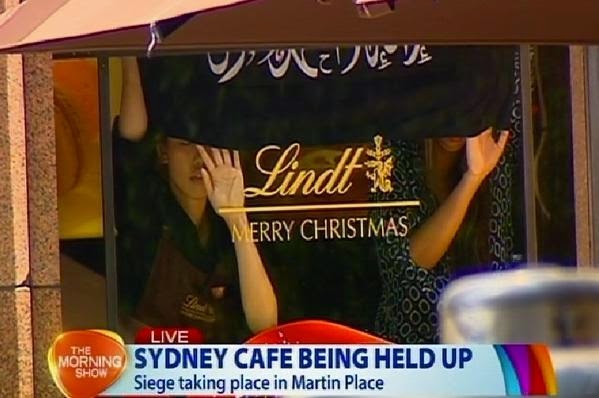 "The incident in Sydney is disturbing. Such acts are inhuman and deeply unfortunate. I pray for everyone`s safety", the Prime Minister said. The incident in Sydney is disturbing. Such acts are inhuman & deeply unfortunate. I pray for everyone`s safety. The Prime Minister, Shri Narendra Modi has Congratulated Prime Minister of Japan, Shinzō Abe on his victory in the elections. Prime Minister has looked forward to continuing to work closely with him to strengthen the relations between India and Japan. "Congratulations @AbeShinzo on your victory in the elections. Japan will scale newer heights of progress under your able leadership. I look forward to continuing to work closely with @AbeShinzo to strengthen the relations between India and Japan", the Prime Minister said. The Prime Minister, Shri Narendra Modi has paid tributes to Sardar Vallabhbhai Patel on his Punya Tithi. He remembered Sardar Patel for his tireless efforts to unite the Nation. "On his Punya Tithi, I pay my respects to Sardar Vallabhbhai Patel. India will forever be indebted to Sardar Patel for his tireless efforts to unite the Nation", the Prime Minister said. India will forever be indebted to Sardar Patel for his tireless efforts to unite the Nation. Coal can be imported by the purchaser as it is under Open General License. The total import of coal by India during 2013-14 was 168.4 MTe. of which 34.8 MTe. of coal was imported from Australia and the balance from other countries which include Indonesia (103.1 MTe. ), South Africa (20.6MTe) and others ( 44.7 MTe.). The data on import is at the level of country of origin.The Ministry of Coal has no specific information on Indian companies that have taken mines on lease in other countries and coal imported from them. This was stated by Sh. Piyush Goyal, (Minister of state (I/C) for Power, Coal & New and Renewable Energy in a written reply to a question in the Rajya Sabha today. The Board of Coal India Limited (CIL) has recently finalized a Model Contract Agreement for mining of coal in the various mines of CIL. The mine operator shall be responsible for development & operation of the coal mine, construction of infrastructure facilities etc. However, the responsibility of acquisition of land, obtaining statutory clearances etc. shall be with CIL/subsidiary companies. The mine operator shall also be responsible for taking physical possession of land but compensations for land & Resettlement and Rehabilitation (R&R) shall be paid by CIL as per its approved R&R policy. The model does not envisage formation of joint ventures. This was stated by Sh. Piyush Goyal, (Minister of state (I/C) for Power, Coal & New and Renewable Energy in a written reply to a question in the Rajya Sabha today.